Burj Al-Luqluq social center organized ending project ceremony in Sunday dated in 31/2/2016. This project was financed by the Swedish agency among UNISCO assistance, and was supervised by welfare association. The ceremony contained highlighting what skills women were taught through the 4-months training period. 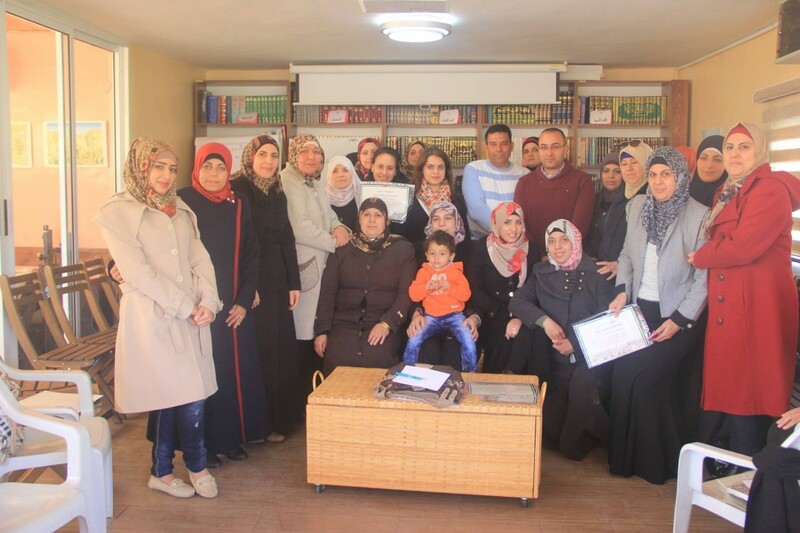 The attendance were the project coordinator from welfare association Lina Al-Dissi, Supreme Council representative Nahed Abu Ghosh, Burj Al-Luqluq social center manager Muntaser Idkaidek and the project supervisor Rula Al-Joulani. Participated women were given and honored certificates by the coach Abdul Rahman Mahmmoud. Within the ceremony, the coach Abdul Rahman has commented that each woman has its own personality, women are positive element for children, husbands and social life, emphasizing the importance of maintaining implemented initiatives and the importance of delivering these experiences to women whom were uninvolved in this project.